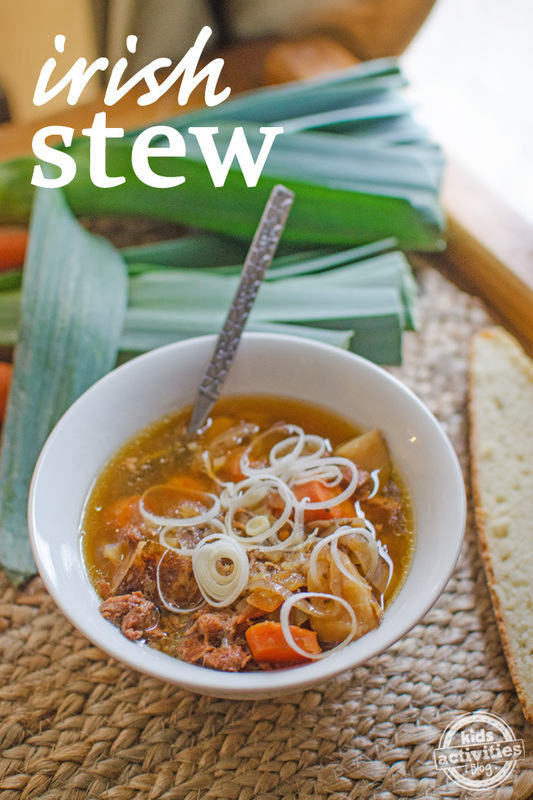 This St. Patrick’s Day enjoy our delicious Slow Cooker Irish Stew with your family. Irish Stew is traditionally made with lamb or mutton, but our stew incorporates beef for a more kid and budget friendly improvement. We also use a slow cooker to make our Irish Stew which means you can spend 5 minutes in the morning making it and then not touch it again until dinnertime that same day. 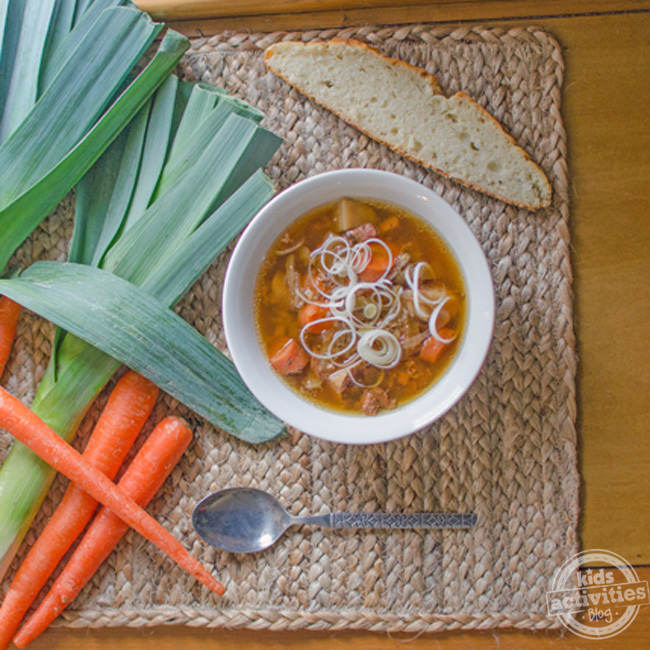 Try this slow cooker meal with Traditional Irish Soda Bread for a complete dinner. 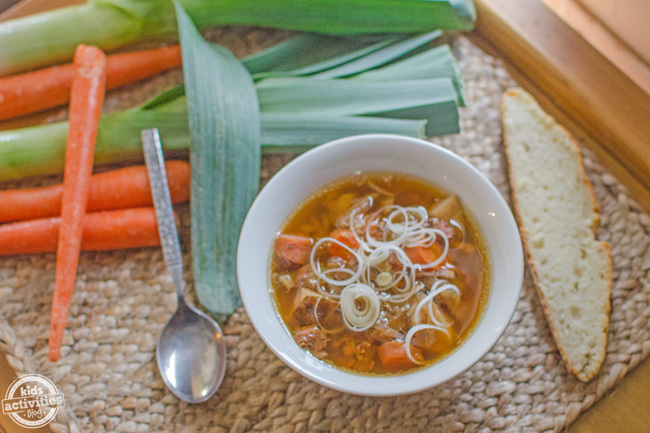 Just like with a lot of recipes there are many variations and “correct” ways to make Irish Stew. Purists claim the only vegetable that goes into Irish Stew is potatoes. We think that the addition of herbs and vegetables add more flavor–not to mention nutrition–to our stew and your family’s bellies. Place all ingredients into a 7 quart slow cooker and set to HIGH. Cook for 6-8 hours or until potatoes are done. Add more water and season with salt and pepper, if necessary.